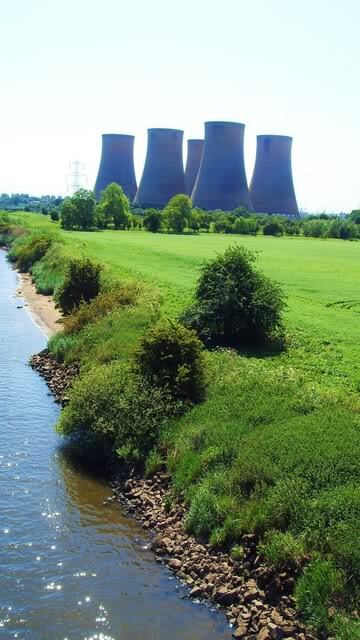 High Marnham Power Station opened in 1959 and closed in 2003 after nearly 45 years in operation. 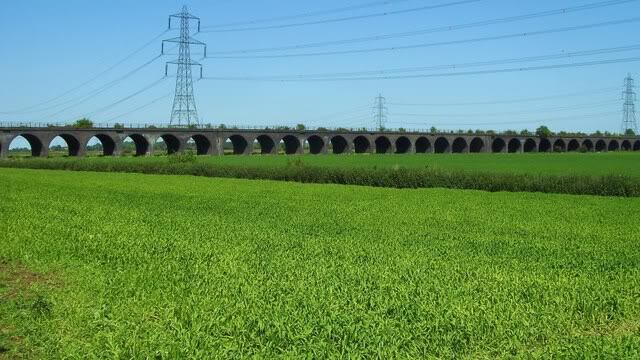 Sadly its 150ft high boiler house followed in 2006 leaving only the Water Pumping house, the pipeline bridge and the 5 cooling towers standing today. 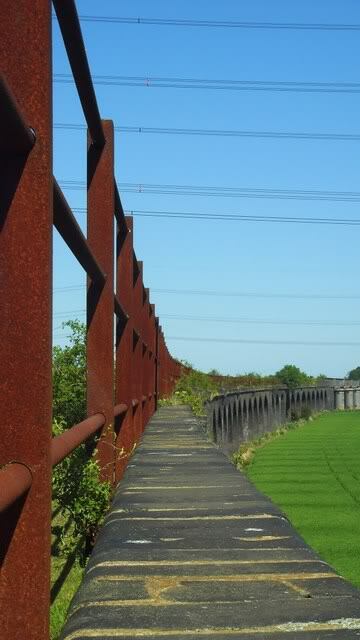 Unfortunately this meant it had to be a solo trip..
From the far side of the Trent..
Disused viaduct running alongside and eventually to several coal mines. 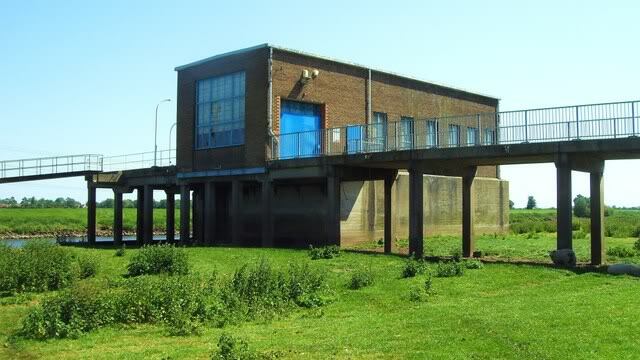 Water Pumping Station alongside the Trent with river access for boats. It sure is great to see the old girl again. I worked there from 1996 until 2000 as an operator on Unit 4. I suspect the steam turbines and control rooms are all gone now. 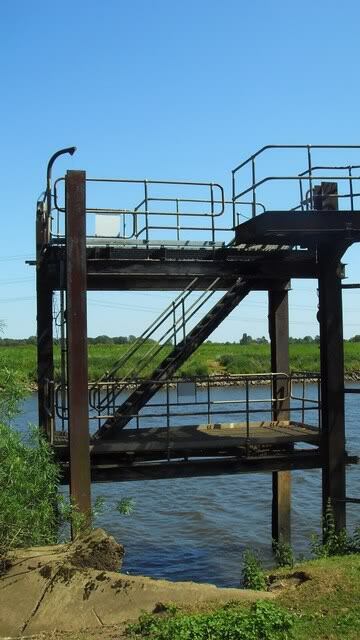 By the way, the pumping station by the river was for off loading oil from barges. 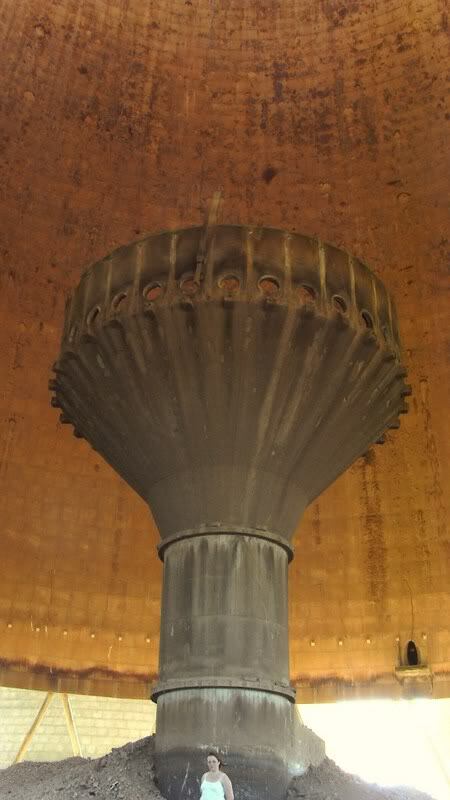 Waste oil was used to light the boiler oil burners, which were then used to light the pulverised coal from the coal mills (six per unit). When I got there, barges were not used any more, and the oil was waste car engine oil which arrived by road tanker. Over on the coal plant there used to be an engine for shifting coal carriages around. I wonder where that went. 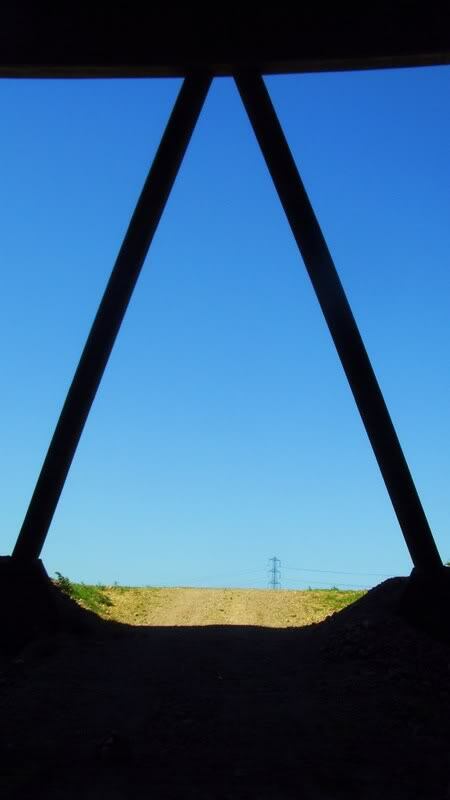 You don't happen to know anything about the disused railway that runs past the plant do you ? 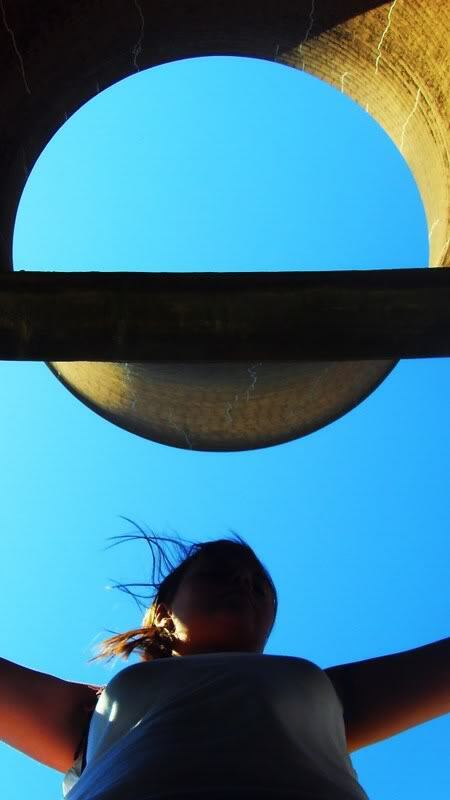 I didn`t have a great deal to do with the coal plant, as most of my time was spent in the turbine and boiler house. I remember occassionally seeing these hugely long trains slowly trundle in to the site from the viaduct direction. There was a huge underground bunker which each carriage would park over and, one by one, the bottom of the carriages would open up and spill the coal down in to the bunker, directly on to a conveyor belt. The conveyor would then transport the coal upwards and over to the huge coal stack, and tip the load on top. Huge caterpillar tracked scrapers would drive over the stack shaping the stack. Are they still there? I guess not. Another conveyor belt would lift the coal right up to the top of the boiler house, where it was distributed between 30 huge hoppers which slowly funnelled the coal towards the basement where the coal mills were for pulverising the coal in to dust for combustion. It would be good to look down these now they are empty. If you know where to go, the possibilities for exploration are vast. There is a huge sub basement where the water from the cooling towers was delivered to the condensers in the turbine hall basement, and then recirced back to the cooling towers. It was a very dark and gloomy place, full of huge pipes big enough to walk down. It`s probably rat central now. 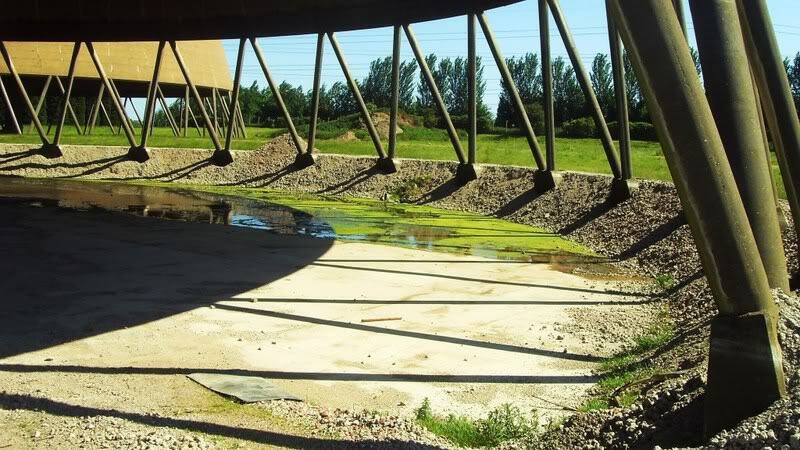 That large structure you are stood next to in the cooling tower is where the water returned to the tower and came out from the centre in spray bars, which are missing, but the holes are evidence. 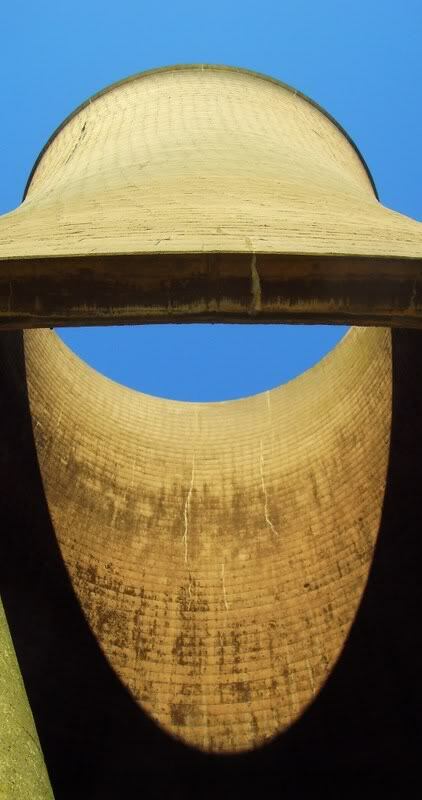 The water would tumble down over millions upon millions of shaped wooden slats which would smash the water in to tiny droplets, aiding in the cooling of the water. The slats were treated with arsenic to prevent the wood from rotting. You shouldn`t find any about, but if you do, don`t handle them! 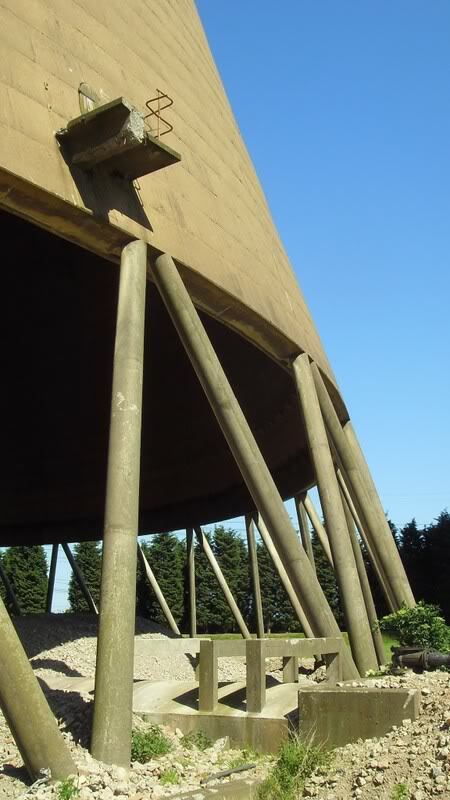 Between the boiler house and the towers was the closed circuit cooling pump house, which housed the huge pumps for circulating the water between the cooling towers and condensers in the boiler house. Do you know if this building exists? It has a little sub basement of its own, and the building was full of other smaller pumps and diesel engines. Crikey, the places to investigate are numerous. There is another room full of massive air compressors for supplying instrument air, plus no end of sub levels for visiting such places as boiler circulation pumps. The workshops were full of huge milling machines etc. Is the admin building still there, with the big pond outside? Oh, one other thing. Did you see any Badgers around? There was a large colony of them by the coal plant. 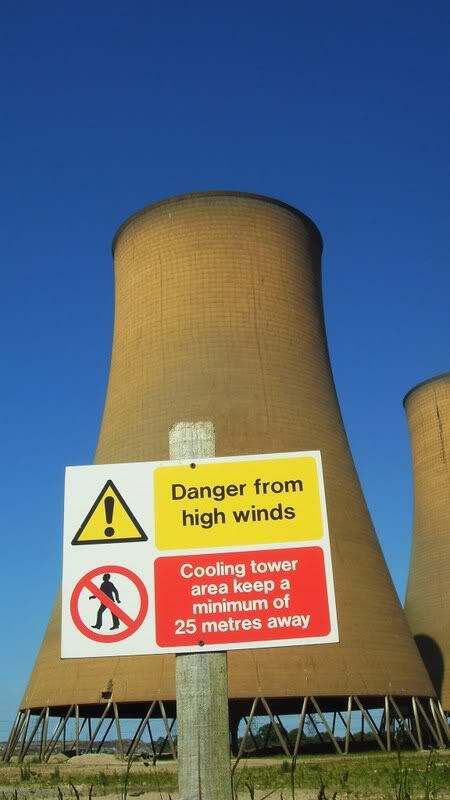 I used to see them playing at dusk around the cooling towers.